This is a sponsored post written by me on behalf of Visit Gulf County for IZEA. All opinions are 100% mine. Three years ago, our family started a new fall tradition. We decided to participate in multi-generational family travel for the holidays. We went to British Columbia that first year. Last year we went to Oahu. This year we are very excited to travel to Florida for ten days. Multi-generational travel is so much easier when you have younger children. My parents and sister will be our travel companions and we take turns watching and playing with the kids. It has been the best new family tradition we’ve made and we aren’t going to quit anytime soon. Though we had fun in B.C. two years ago, it will be nice to go back to a beach setting this year. Getting out of our cold, wet Washington weather and onto the beach is a pretty popular destination idea for the whole family. It’s fun to just be outside to play isn’t it? The Gulf County Adventure Guide makes playing outside together as a family pretty easy. 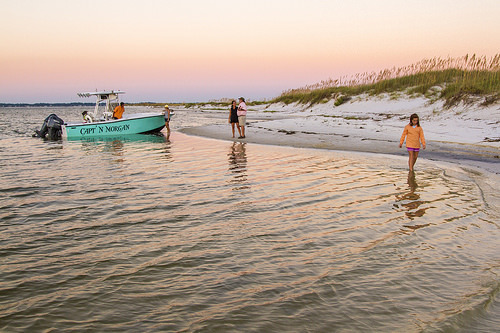 This guide highlights local businesses to Gulf County Florida that can make your outdoor family vacation even more fun. 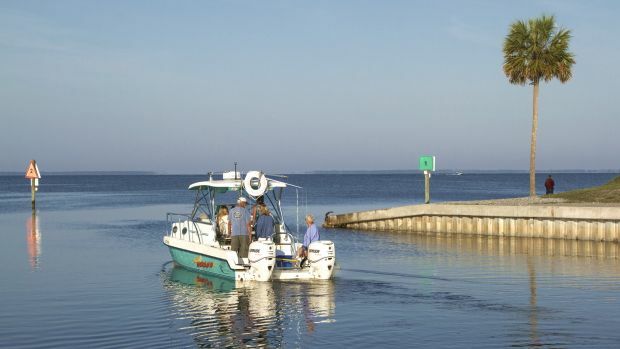 You’ll find great stories and priceless travel tips in the Gulf County Adventure Guide. The one thing my seven year old would really like to do is see dolphins in the wild. 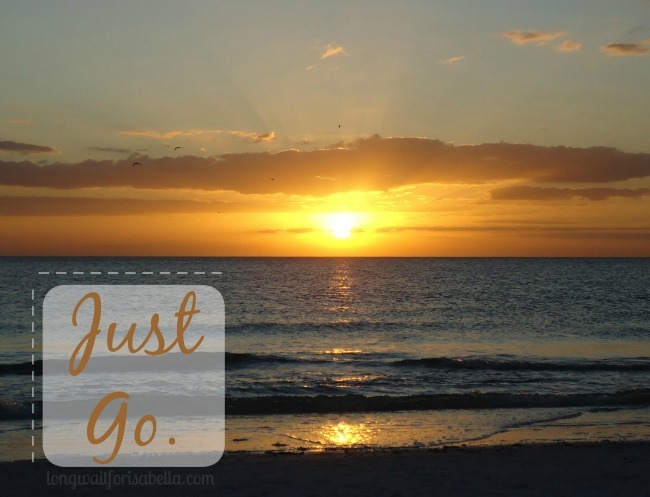 Did you know that you can take a sunset cruise with Seahorse Water Safari in Gulf County, Florida? You’re not guaranteed to see dolphins but your chances are good. If you listen really closely you’ll even hear them laughing. 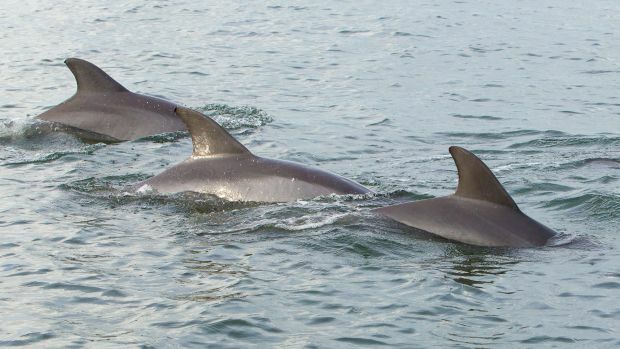 Wild dolphins live in pods. 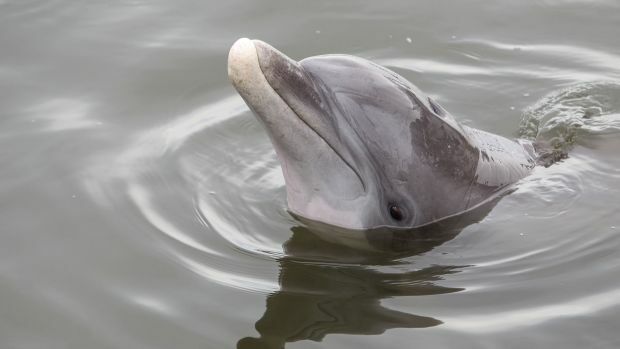 Even though this sounds bad, dolphins kick the big male dolphins that are ready for reproduction out of their existing pods to go join another pod. This behavior keeps the genes from bottlenecking. We’d love to charter her boat and visit her stray dolphin, DD. Doesn’t that sounds like a great family travel tradition? Start planning your family travel traditions today. Gulf County Adventure Guide would love to help you. 10 lucky winners per week through 10/25/15 will win a $50 gift card to plan travel in their own area! Click on the graphic below for your chance to win! I’ve only been to FL on the other coastal side. I love the dolphins they put on such a show, they are so playful, it would be fun to take a Gulf Florida vacation in the fall before all the snowbirds arrive! That sunset is just stunning! What a great time of year to travel and make family memories together. We went on a dolphin watch a couple years ago with the kids and they had a blast. We are huge fans of the ocean and get there whenever we can! That sunset is breathtaking and how cool would that be to get that close to the dolphins. I am a Florida girl so I know how much of a treasure this State is. I have always wanted to see dolphins in the wild! That is something i have dreamed of seeing since I was a tiny kid! What an amazing experience and vacation that would make! This sounds fantastic! I’ve never been, but I can see why you’d want to. Thank you for sharing. I live a little further up the coast (Spring Hill, FL) and we see dolphins almost every time we go out on our own boat, so I don’t think seeing dolphins is going to be a problem for you. Seeing dolphins (and manatees and other sea animals) is one of my favorite things about living along the gulf coast of Florida.